Found­ed in 1955 and incor­po­rat­ed in 1958, the Sara­so­ta Out­board Club (SOC) was the first orga­ni­za­tion to make Ken Thomp­son Park their home. beach their boats in the back of this lit­tle island, just south of the old Sies­ta Key Bridge. This group of Vet­er­ans and ded­i­cat­ed pow­er boaters met on this island for years, fer­ry­ing friends from the foot of the old bridge. As their num­bers grew and their inter­est expand­ed, they decid­ed to form their own club. In 1955 they orga­nized, and on May 13, 1958, the Sara­so­ta Out­board Club was incor­po­rat­ed. Their busi­ness meet­ings were held in the old Sara­so­ta Bank Build­ing on Orange Avenue, and lat­er to the Nation­al Bank Build­ing on Sies­ta Dri­ve. In 1962, it was decid­ed that this group need­ed a place of their own. They nego­ti­at­ed a lease with the city of Sara­so­ta for the present-day site on City Island. 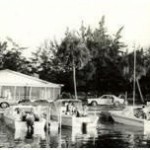 The mem­bers of the SOC, work­ing in uni­son, built the club­house and installed a con­crete sea­wall, boat ramp and docks. With addi­tions and improve­ments, the facil­i­ties have been enjoyed by mem­bers and their guests for the past 49 years. The SOC is a not-for-prof­it social and boat­ing orga­ni­za­tion. Our venue is used to sup­port var­i­ous func­tions includ­ing fire, police, and sher­iff department’s train­ing exer­cis­es; fish­ing tour­na­ments for the Junior Dia­betes, the Sara­so­ta Grand Prix Phys­i­cal­ly & Men­tal­ly Chal­lenged, and the Sheriff’s Boys Ranch; as well as a social func­tion for the Pines of Sara­so­ta. Nes­tled in behind Mote Marine, mem­bers of the SOC enjoy many priv­i­leges not avail­able at pub­lic boat ramps such as: 1) a pri­vate ramp with has­sle free park­ing for your vehi­cle and trail­er; 2) docks with pow­er & water; 3) a full facil­i­ty build­ing with kitchen, bath­rooms, & show­ers; 4) an incred­i­ble view of down­town Sara­so­ta and the Sara­so­ta Bay; and (5) a fam­i­ly of friends that are always will­ing to help no mat­ter what the task. 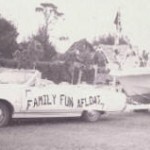 In order to become a mem­ber, it is required that you are mar­ried and that you own a boat. Mem­ber­ship is com­prised of approx­i­mate­ly 115 fam­i­lies with about 300 fam­i­ly mem­bers. 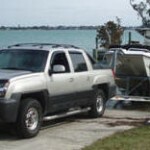 Mem­bers receive a key to the club­house and boat ramp which allows them full use of the facil­i­ties. 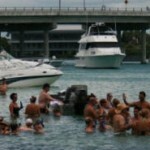 Overnight dock­age and camp­ing are allowed on a lim­it­ed basis, along with club rentals for pri­vate func­tions. Because the SOC leas­es the prop­er­ty from the city of Sara­so­ta, mem­ber par­tic­i­pa­tion in all of the func­tions is impor­tant to the club’s future. Most of the main­te­nance and upkeep is per­formed by the mem­bers of the club. We are a not-for-prof­it orga­ni­za­tion; there­fore, our main source for income is from mem­ber­ship dues, two annu­al fund-rais­ing func­tions, and sev­er­al small­er events through­out the year. Besides the fund-rais­ing func­tions, many addi­tion­al events are orga­nized by the club which include boat­ing trips and gath­er­ings, din­ner cruis­es, and overnight camp­ing. 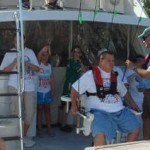 If you like boat­ing and fam­i­ly fun, you sim­ply will not find any­thing like the SOC any­where on the South­west Coast of Flori­da.